So what makes a great leader rise up in difficult or unlikely circumstances? Let’s take a look at one famous example of an unlikely Christmastime leader named Rudolph. So legendary was his rise from outcast to front-man, Johnny Marks penned a simple song to tell his story simply titled Rudolph the Red-Nosed Reindeer. All of these things can make one stand out from the herd. And although the attributes may be inaccurate they can thwart relationships from materializing. 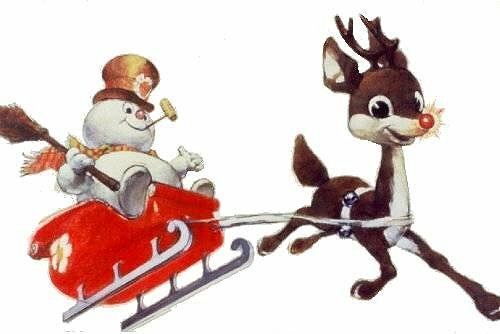 In Rudolph’s circumstance he had a big red nose so he was physically dissimilar than the others, not much something he could hide. All of the other members of Rudolph’s team used to exclude him, laugh at him, and call him names because he was so different from everyone else. They disliked him so much because his nose was different that they never let poor Rudolph join in any of the team activities–the team shunned him. In Rudolph’s case, he let this disparity get him down. At first, he did not understand different is not necessarily a detriment. Being different allows you to look at things from an alternate perspective, it gives you strength where others have weakness, it helps to balance out the team making them more rounded. There came a time when things started to get challenging for the world-traveling team. A fog rolled in the visibility for the team started to cloud over. If the outlook did not change and if someone did not step up to the plate soon, Christmas would be ruined. It was time for innovation! As everyone soon realized, Rudolph’s detriment turned out to be exactly the tool needed to get the job done. He was able to turn things around and he led the way on a jubilant trip around the globe. That night Rudolph brought his team out of the fog and successfully delivered toys across the world to millions of girls and boys. He was a hero! In the end Rudolph prevailed. He accomplished something no one ever thought possible. When everyone else had given up, Rudolph kept the vision alive by staying focused and shinning a bright red light on the prize. His leadership rallied the troops and brought them through a tough time when it appeared to everyone there was no hope. As we now know, Rudolph is the most famous reindeer yet he remains humble, as he knows it takes much hard work to keep his leading role, he knows to never give up and always remember it’s a team effort; not just one member can steal the show–it takes teamwork, Pulling Santa’s sleigh is a team effort and the reindeer must work as a team to succeed. And let’s not forget about the leadership of Santa! It takes a true leader to recognize potential in people and know when to put the right player in the game. It takes a truly good captain at the helm to take the reins and steer the sleigh. And as you know the rest will go down in history. How are you dealing with disparities in the work place? What changes have you made to strengthen your team structure? Just want to say that, as someone who has yet, at 64, ever really fit in ANYWHERE! , this insightful piece has been a delight to read. Solid encouragement producing perseverance in life situations. Thank you, L2L. Cute! But there are some good learning lessons there. Another relevant part of this is that over the hundreds of years of this Santa story, there have NOT been many improvements in the gear that Santa uses for all those deliveries. One wonders why there is a complete lack of innovation or performance improvement. You might like to see how Susan helped Santa, Rudolf and the elves make some improvements here: http://www.slideshare.net/ScottSimmerman/susan-and-santa-square-wheels-lego-innovation-final — Have fun out there!